Rivershore Golf Links is recognized as one of the finest tests of golf in Canada and is the recipient of numerous awards including a 4-star rating for Places to Play from Golf Digest Magazine. Few places can rival the natural beauty and appeal of Rivershore golf links. 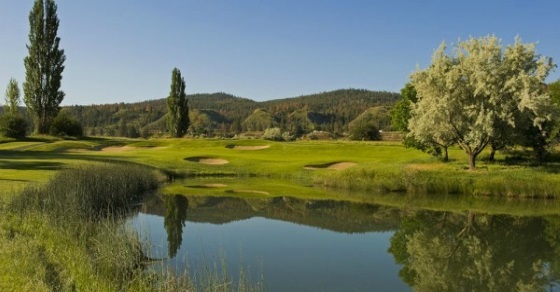 The course lays in a desert-like setting at the foot of sagebrush-covered hills above the majestic South Thompson River. It has been said that Rivershore Golf Links is an honest, fair, unpretentious and generously bunkered (95 bunkers) golf course. It was designed and constructed by legendary golf course architect Robert Trent Jones. Rivershore golf links has hosted numerous National and Provincial Championships and is proud to offer an easily walked, beautifully conditioned and wonderfully designed Robert Trent Jones Senior masterpiece. 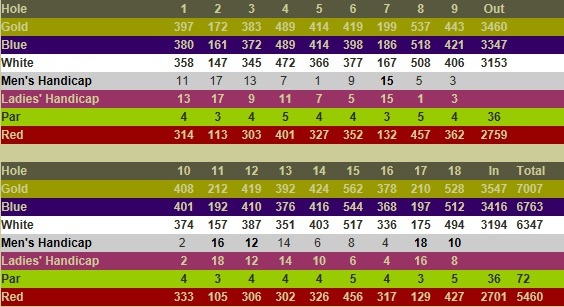 The attributes of design and course conditions are what permit Rivershore to lay claim to being “Kamloops’ Finest Golf”. Rivershore golf links will be maintained in excellent playing condition for golfers of all skill levels and play near Championship standards (within weather limitations) on a continuous basis and at Championship standards for certain events. Environmental stewardship and resource management will be a factor in selecting and applying turf-care products to the golf course. Water is used sparingly on this superb links style course. The objective is to use various pin and tee block positions so as to challenge/inspire golfers while distributing wear and stress to aid in turf care. time immediately following fairway aeration. hole being played and be true to the architect’s original intent.